As a girl who is getting back into the swing of juggling college classes, work, and my personal time, I am not going to have a lot of time to prepare a breakfast packed with nutrition. In this case, I turn to Promax Bars. I have been eating Promax Bars for years, and the reason I have always fallen back on Promax Bars is because they are delicious, full of protein, and provide the nutrition you need to keep you powering through your day. 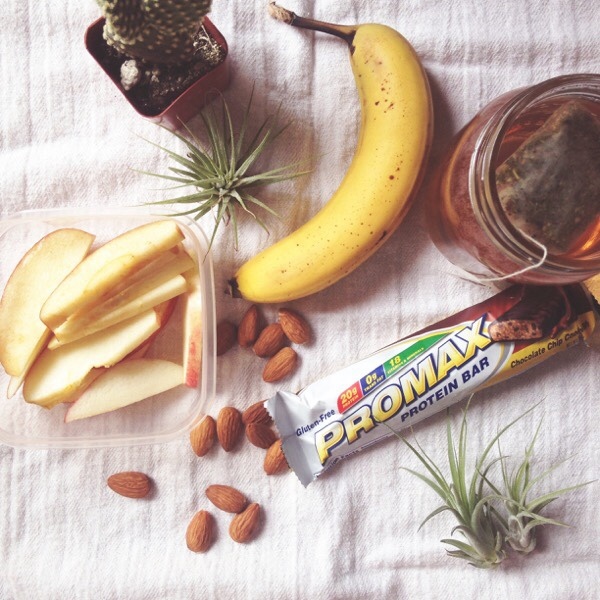 Promax Bars are a great meal replacement for those busy mornings when you just have to get out of the door. With 20 grams of protein, you will not feel jipped on a meal. With breakfast, if I am having a Promax Bar, I like to include pieces of fruit and almonds to supplament into my breakfast. If you know you will have a busy morning, cut up the apple into slices the evening before, and squirt some lemon juice into a plastic bag where you will keep your apples. The lemon juice will prevent the apples from browning. A great tip: prepare your breakfasts for the whole week, even if you know that some days are going to be slow. It will help you start your day when you want a jump start, and when you want to power jump start your day, Promax Bars are the best way to go! I am always carrying snacks with me, I call them my "purse snacks" because, simply, they can fit in a tote bag, or in my purse. For a snack sometimes, I like to cut up a Promax Bar into bite sized pieces to make it easy to eat a few bites now, and save some for later. If you have kiddos, the bite sized pieces make it easy for their little hands to grab. Not only does it fulfill your hunger, but it also fulfills a sweet tooth. 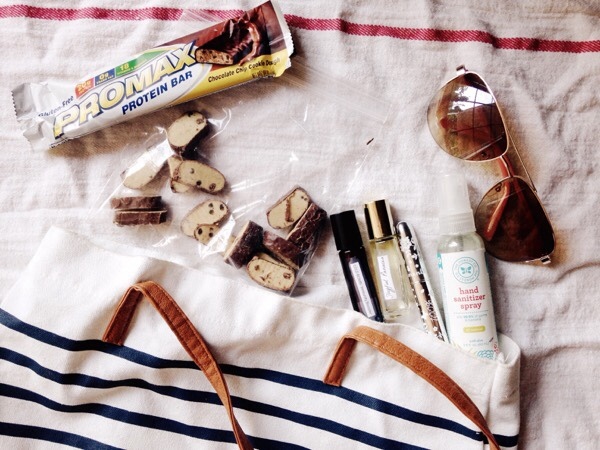 Eating a Promax Bar of any flavor, especially chocolate chip cookie dough, will satisfy a sugar craving the healthy way. 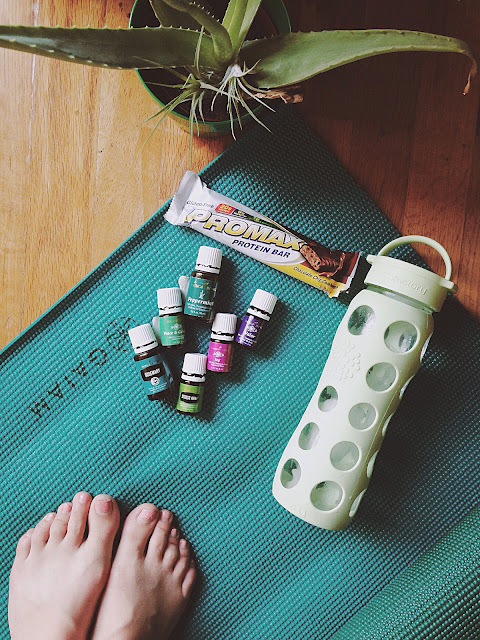 When I was taking my yoga class at 7:00 am, I would always turn to Promax Bars for my early breakfast. It was never heavy in my stomach for yoga, nor was it an unhealthy choice for breakfast. It is hard to eat so early in the morning, so a quick, protein packed bar (that is also unbelievably delicious) made it that much better to eat breakfast so early in the morning. I love inspiring others to live a healthier lifestyle, and to make healthier food choices, especially when you find yourself busy, and starving. 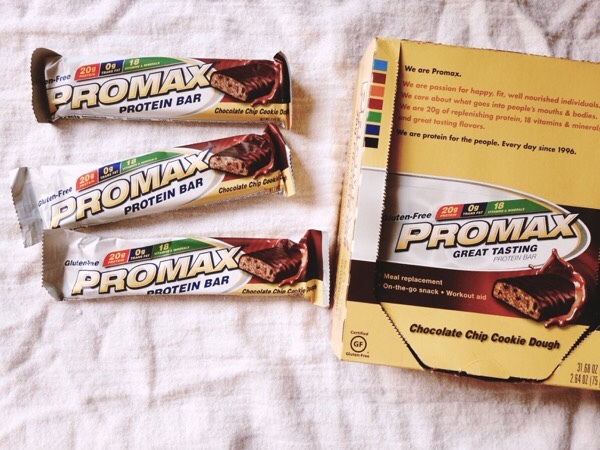 Promax Bars are a fantastic meal replacement, and they can be easily incorporated into busy lives. So, when you are on your way to a test, or just a lecture, think twice before pulling into a drive thru. Stop off at your grocery store, and grab a box of Promax Bars. It is the far better choice. If you are a college student who is seeking for more quick, healthier snack options, I will be posting more snack ideas in the future. I also welcome all comments, so please feel free to ask any questions you might have regarding healthier living. This post was sponsored by Promax Nutrition. All pictures and opinions are my own.